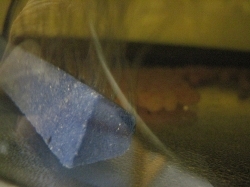 Our salmon eggs have arrived! 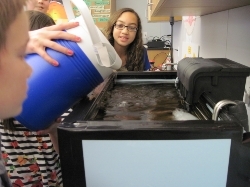 Thanks to the generosity of the Schoodic Community Fund, the help of the PTC, and especially the help of parent Letitia Baldwin, we have purchased the necessary equipment, set it up, and this week, we have filled the tank with the fish eggs. A special thank you to the U.S. 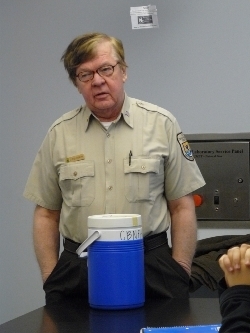 Fish and Wildlife Service for their help with this project. 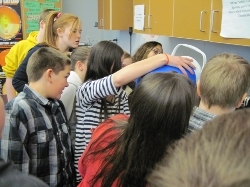 The agency worked with our middle school students, presenting the necessary information for our students to participate in the project with a basic understanding of the fish breeding process. Did you know?.... 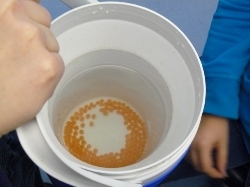 How many eggs can a salmon produce? How many survive? As a rule of thumb, a female produces 700 to 800 eggs per pound of body weight. A ten pound hen will lay about 7500 eggs. In the wild, predators and other factors greatly reduce this number. Fifty salmon may reach the smolt stage and migrate to sea. Perhaps only two adult fish will return to the river a year or two later. As you can see, there is a good reason why salmon lay so many eggs.